Xiaomi is a Chinese smartphone manufacturing brand that offers fully featured smartphones at the best possible prices. Smartphones manufactured under this brand name comes with all the essential features of a smartphone that too at the cheaper price in comparison to other smartphone manufacturing companies in the market. This is one of the main reasons behind the success and popularity of XIAOMI in the market without indulging much into advertisements of their mobile phones. 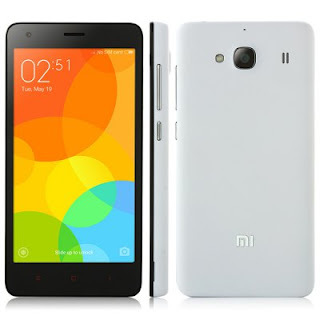 XIAOMI has recently launched XIAOMI Redmi 2 Pro in the market which is assumed as an improved version of Redmi 2. It is a dual SIM 4G LTE smartphone which is powered by cortex A53 quad core Qualcomm Snapdragon processor clocked at 1.2 GHz. It comes with 2GB of RAM and 16GB internal memory which is further expandable. Moreover, XIAOMI phones can only be purchased from online shopping portals. It also comes in five different and vibrant colors that are white, black, light green, yellow and pink. It has also got several sensors like light, compass, gravity, gyro and proximity sensors. The XIAOMI Redmi 2 Pro flaunts a massive LCD capacitive display touch screen of 4.7 inch offering a resolution of 1280 X 720 pixels which is capable of delivering crisp photos and superfine text. It incorporates IPS technology that delivers quite vibrant and stunning colors from every viewing angle. In addition, it comes with Corning Gorilla Glass 2 screen which ensures a scratch resistant and highly responsive screen. The XIAOMI Redmi 2 Pro features Android 4.4.4 accompanied by MIUI 6. This device is powered by Qualcomm Snapdragon 410 quad- core processor clocked at 1.2 GHz accompanied by 2GB of RAM and Adreno 306 GPU. Moreover, it comes with 16GB internal memory which is further expandable via a microSD card. This amazing combination ensures a reliable and powerful performance. This impressive phone comes with an 8 megapixels primary camera featuring LED flash and autofocus. It also comes with a secondary camera of 2 megapixels decent for making videos calls and capturing good quality selfies. The camera has got several interesting features such as geo- tagging, smile detection, touch focus and HDR mode, face recognition, zero shutter lag and many real- time filters. Keeping in consideration the powerful combination of latest software and processor used in this smartphone, the XIAOMI Redmi 2 Pro is expected to offer superior quality performance. The powerful processor incorporated in this device is aimed at boosting the performance of XIAOMI Redmi 2 Pro. This phone features a user friendly and intuitive interface that makes it quite easy to use for the users thus delivering an impressive performance. So, thus we can conclude that the XIAOMI Redmi 2 Pro is a must buy for all those who are willing to purchase a new smartphone fully loaded with features that too at a very affordable price. Keeping in mind all the hi- tech features and stylish design, this phone is a decent buy for users.